We use cutting-edge digital imaging technology to assess your eyes. Many eye diseases, if detected at an early stage, can be treated successfully without total loss of vision. Your retinal Images will be stored electronically. This gives your eye doctor a permanent record of the condition and state of your retina. This is very important in assisting your Sunrise optometrist to detect and measure any changes to your retina each time you get your eyes examined, as many eye conditions, such as glaucoma, diabetic retinopathy and macular degeneration are diagnosed by detecting changes over time. Digital Retinal Imaging allows your eye doctors in Sunrise, FL to evaluate the health of the back of your eye, the retina. It is critical to confirm the health of the retina, optic nerve and other retinal structures. 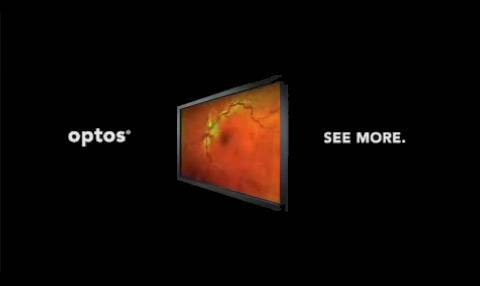 The digital camera snaps a high-resolution digital picture of your retina. This picture clearly shows the health of your eyes and is used as a baseline to track any changes in your eyes in future eye examinations. What is a visual evoked potential (VEP) vision test? When light from an image enters your eye, it is turned into electrical energy by cells in the retina – the light-sensitive layer at the back of your eye. These cells send the electrical energy back to the visual cortex, the part of your brain where the image is processed. VEP, or Visual Evoked Potential, uses visual stimuli from a computer screen in different patterns and contrasts to elicit the electrical response from your retina. The electrical energy is then sent to your visual cortex, where the Diopsys® VEP vision test records the electrical signal, and creates a report for your doctor. It is similar to an EKG, but for your entire vision system. How do I prepare for the VEP test? Your face and hair should be clean, dry, and free of any gels, sprays, oils, makeup, or lotion. How is the Diopsys® VEP vision test done? A technician will clean and dry three small areas on your head, and then place sensory pads on the cleansed areas. The technician will ask you to cover one eye at a time while the VEP vision test is being run. Once the test begins, you will see black and white patterns that appear to “flip” quickly over and over again on a computer screen. You will be asked to focus on the pattern during the test. The computer will record the electrical energy that reaches the visual processing center of your brain and produce a report for your doctor.